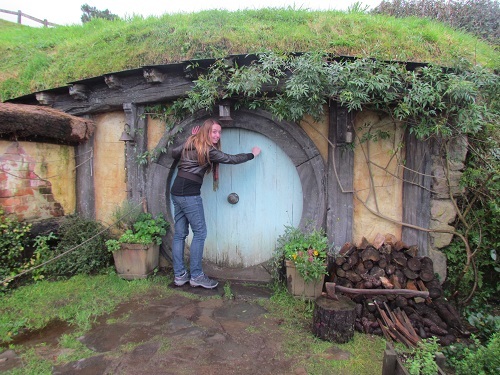 Travel blogger, Arianwen Morris, takes us on an adventurous journey through New Zealand and shows us some of the most amazing things to do in this beautiful country. It doesn’t matter what your interests are – there is something for everyone in New Zealand. Some people fly over in winter to tackle the ski slopes. Others don their walking boots and take on a selection of scenic hikes. New Zealand is also renowned for its adventure sports. It’s home to the world’s first bungy jump as well as the highest commercially raftable waterfall. There are activities I’d never even heard of, like jetboating and river sledging. After six weeks working my way south from Auckland to Queenstown, here are my top picks. There are plenty of activities to choose from in Auckland, including bungy jumping/guided walks on the Harbour Bridge, a controlled base jump from the Sky Tower, sailing in the harbour and wine tasting on nearby Waiheke Island. 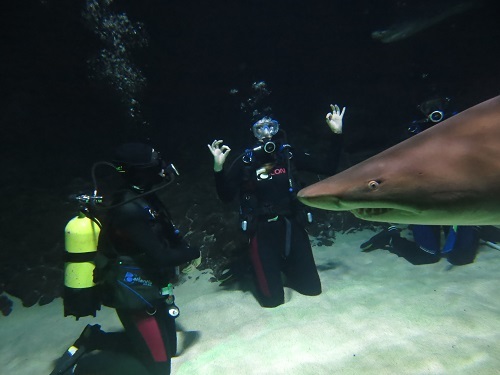 My most memorable experience was scuba diving with sharks and sting rays at Kelly Tarlton’s Sea Life Aquarium. Even if you’re not a fan of fantasy, you will have fun exploring the only set from the Lord of the Rings trilogy that hasn’t been demolished. Just south of Hamilton, a tour of the shire includes some interesting facts about prop design and perspective trickery, as well as a refreshing tumbler of ale at the newly opened Green Dragon pub. 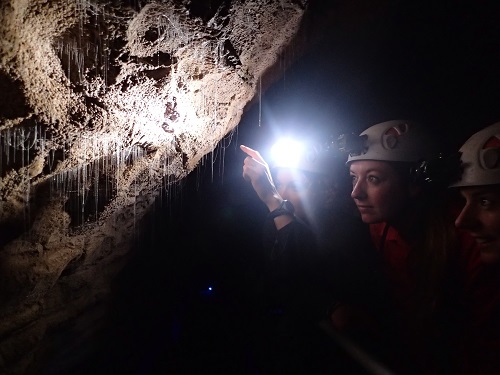 At the glow worm caves of Waitomo, you can take the easy option (a short stroll and boat ride, illuminated by thousands of glow worms), or the scary option (testing your limits with the Legendary Blackwater Rafting Company). The latter offers a range of tours for thrill seekers, including the Abyss – a flying fox, abseiling, climbing and river tubing in the dark; the Labyrinth – climbing, tubing and leaping off waterfalls; and the Odyssey – a frightening assault course at mind-blowing heights with a range of surprises from zip lines to ladder crossings. 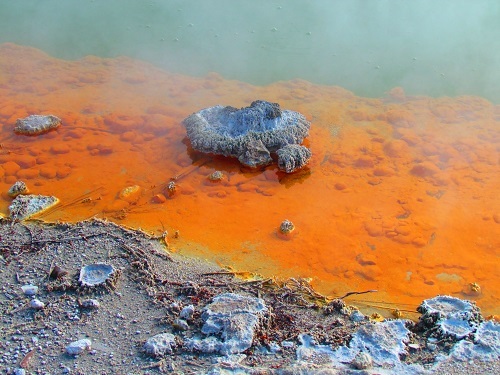 For bubbling mud, exploding geysers and iridescent pools, head to the thermal parks near Rotorua. Wai-O-Tapu and Waimangu are two of the best and you can see them both as part of the same day trip. Be prepared to be assaulted by the smell of sulphur during your stay in the region. Also known as hydrospeeding, sledging is a relatively new sport. 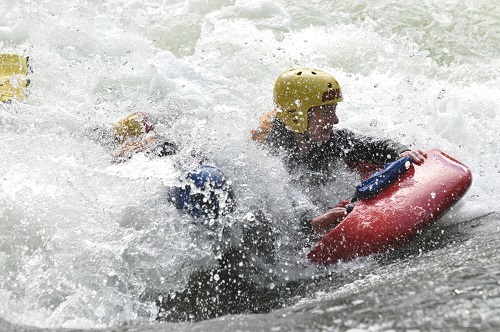 It involves racing down rapids buoyed up by a plastic float with handles. While it sounds relaxing, it’s actually pretty extreme and you’d want to be a confident swimmer to give it a try. I took a trip with Kaitiaki Adventures, which also included an hour’s rafting on some unforgiving white water. Maoris were the first inhabitants of New Zealand and their culture is an integral part of Kiwi life. Without making any effort, it’s possible to learn a few words of the language simply by picking up on place names and the occasional commonly used phrase. However, it’s well worth immersing yourself further with a trip to Tamaki Village in Rotorua. 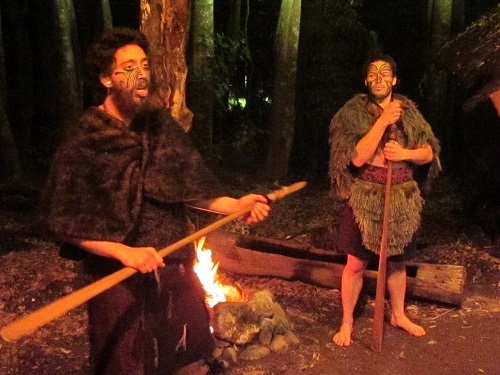 During the course of one evening, you will learn about fighting, dancing and tattooing techniques, before enjoying a traditional Hangi meal, cooked beneath the earth and served as a buffet. By far the best and most unique experience I have ever had was flying a stunt plane in Motueka, near Nelson. 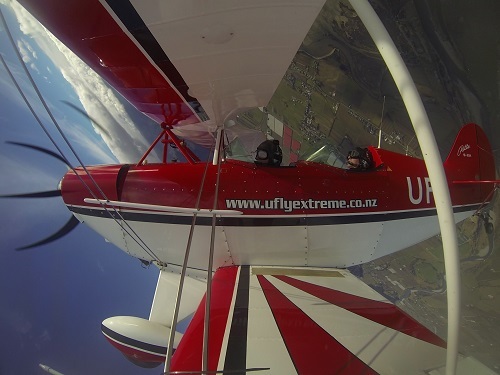 U-Fly Extreme is a small operation run by a friendly couple who identified a gap in the market for teaching people with absolutely no piloting experience to do aerobatics. For approximately 15 minutes, you will have full control of the plane, guiding it in rolls, loops and figure eights and flying upside down. It really is as amazing as it sounds! The main attractions in Kaikoura are whale-watching cruises and swimming with dolphins. The only downside is that these trips are reliant on good weather. If your trip is cancelled, there is a colony of seals a few kilometres north of town, in a place called Ohau Point, where you can see seal pups playing in the woods and waterfalls. They’re so cute and friendly, you’ll forget your boat trip was ever even on the agenda. 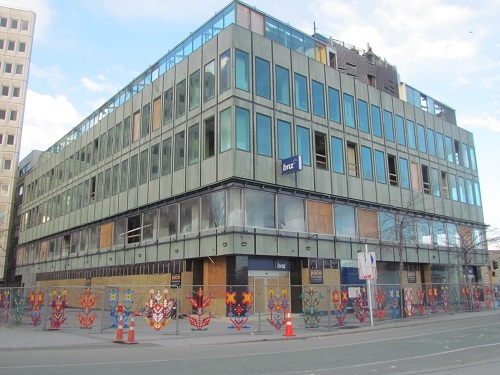 Christchurch is still recovering from the devastating earthquakes of 2010 and 2011. There are so many buildings still waiting to be demolished that it feels like a ghost town. If you take the time to explore, though, you will see heart-warming examples of indomitable spirit. The Re:START project is a shopping precinct made entirely from shipping containers, and the safety barriers that surround abandoned blocks are adorned with colourful artwork. Franz Josef and Fox Glaciers offer a range of activities, including glacial hikes, scenic flights, skydiving and relaxing hot pools. The bonus of a glacial hike on Franz Josef is that it requires a short helicopter flight to get there. Once on the ice, you will be shown how to attach crampons to your boots before being guided through naturally formed tunnels and caves. The formations are spectacular, but you can also have fun sliding down slopes and throwing snowballs at other tour groups. 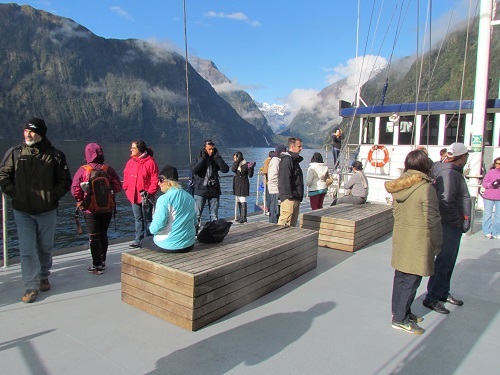 Board a boat on Milford Sound for some of the most impressive scenery you’ve ever seen. The cliffs rise hundreds of metres straight out of the sea and massive waterfalls plummet back down, splashing onto the deck as you pass by. 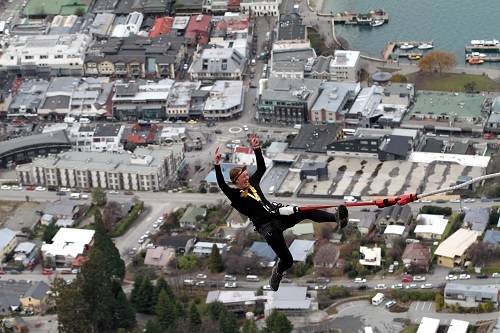 Before I set off for New Zealand, I didn’t think I’d be able to pluck up the courage to do a bungy jump. Six weeks later, I’d done three! 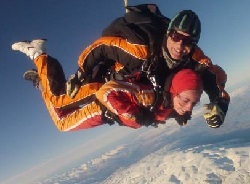 With such great safety measures, New Zealand is the perfect place to try bungy jumping, and there are loads of options. Auckland Harbour Bridge and the Ledge in Queenstown are good for first timers, with falls of just under 50 m. The Ledge allows you to try different techniques, so you don’t have to have your feet strapped together or dive off head first if that freaks you out. Once you have a feel for it, you can’t miss the Nevis – a massive 134-metre plummet into a canyon from a suspended platform! For more ideas on for things to do in New Zealand visit New Zealand’s official tourism site. If you'd like to have your own adventurous journey through New Zealand, take a look at our cheap flights to New Zealand and our New Zealand holiday sale which ends tomorrow so don't miss out. Arianwen Morris is the publisher of the travel blog Beyond Blighty – a collection of anecdotes, tips and advice for the independent and adventurous budget traveller. She has just completed a six-week adrenaline-fuelled tour of New Zealand. You can follow her adventures on Twitter @BeyondBlighty or with the hashtag #ScaredBritless.